Ballymaloe House has long been on my list to visit, as I imagine it is for many people. A friend booked in to do a couple of consecutive courses at the famed Cookery School and I decided to use the opportunity to tag along, sightsee around Cork and have dinner in Ballymaloe House. We spent one night in Cork City and my friend was booked into Cookery School accommodation for the next night, being the night before her first school course. Upon enquiring with the Cookery School, they were very accommodating to me too and I was able to avail of B & B there too for one night even though I was not attending the course. Now I am sure it is not always possible to this, but I was grateful it was available for the night I wanted to stay. I was very impressed with the quality of the Cookery School accommodation. We stayed in Mrs Walsh’s cottage which is an 8-bedroomed house (all bedrooms en-suite – including two twin rooms) complete with fully equipped kitchen and two reception rooms with TV and free wifi. Participants in the shorter cookery courses can avail of breakfast beforehand in the Cookery School. The breakfast is a wonderful buffet of a variety of muesli, porridge, yoghurts, breads, scones, spotted dog, cheeses, jams, juices, tea and coffee. Everything is freshly made on site that morning and as confirmed by Darina Allen – not a cornflake in sight! 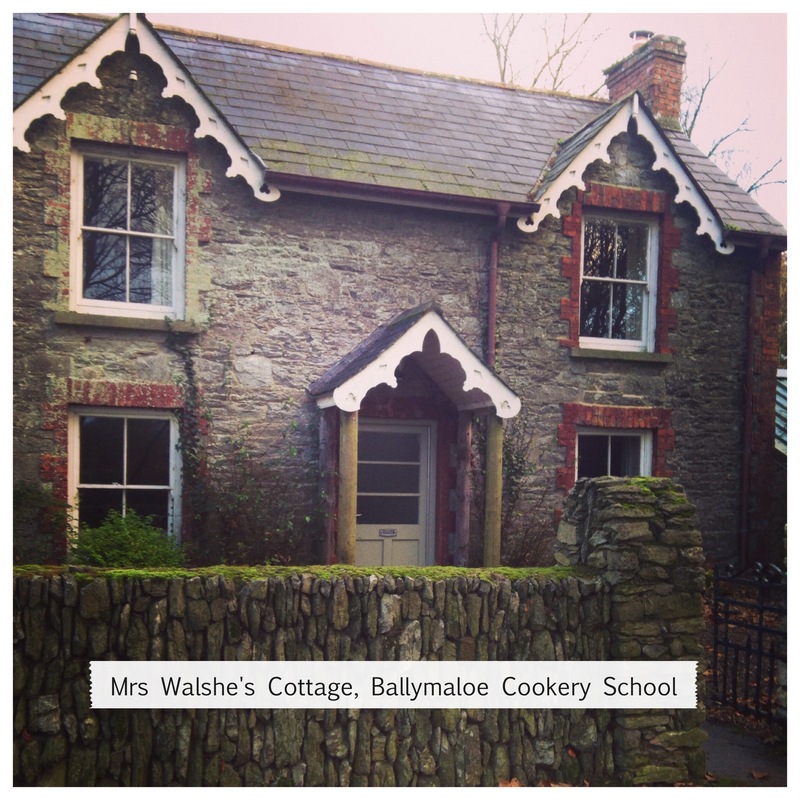 The Cookery School is situated a couple of miles from Ballymaloe House. The setting is lovely and the House looked very welcoming as we drove towards it on a dark winters night. We were welcomed by Myrtle Allen and shown to the Drawing Room where we ordered a pre-dinner drink. We visited on a Sunday evening and whilst we were expecting their traditional Sunday evening buffet, it was explained to us that for December 2013 it had been decided to replace the Sunday evening buffet with a 3-course meal plus tea/coffee and petit fours for €50. I was secretly pleased at this as I am not a huge fan of buffets, though I was expecting a Ballymaloe buffet to be a cut above the norm. We laughed when we realised that, depending on your choices, it was possible to order all courses for less than the total of €50 being charged, however it would only be slightly less so it was just a little quirk on the menu that made us smile. There are polite notices asking that mobile phones be turned off so I resisted the urge to photograph the menu (and subsequently the food!). From memory, the starters were weighted heavily towards shellfish with both oysters and mussels featuring along with a Pea & Chilli soup. We both ordered the soup and for mains I opted for the Lamb and my friend the Hake. The restaurant comprises a series of roooms and our table was in the Red Room. There are only 4 tables in this room so it’s nice and cosy. Some very good homemade breads were served and both of us were very happy with the soup which had a nice kick of chilli without being overpowered by it. The main courses were both very good, the quality of the ingredients shone through and the mains were accompanied by a very good side dish of creamed potatoes. Dessert was served by way of a Dessert Trolley and this was the real winner of the night. We chose from a wonderful spread of Trifle, Profiteroles, Lemon Meringue Roulade, Caramel Ice Cream with hot caramel sauce and mince pies with whiskey sauce. All were so good. We finished the meal with tea and some very good petit fours. The waiting staff are also really friendly and knowledgeable and we really enjoyed our night. All in all, a visit to Ballymaloe is a lovely way to spend a weekend. I was impressed with the obvious love the Allen family have for what they do and the professionalism with which they run both the House and the Cookery School. I am only sorry I did not sign up for one of their Cookery School courses this time, but there’s always next time. 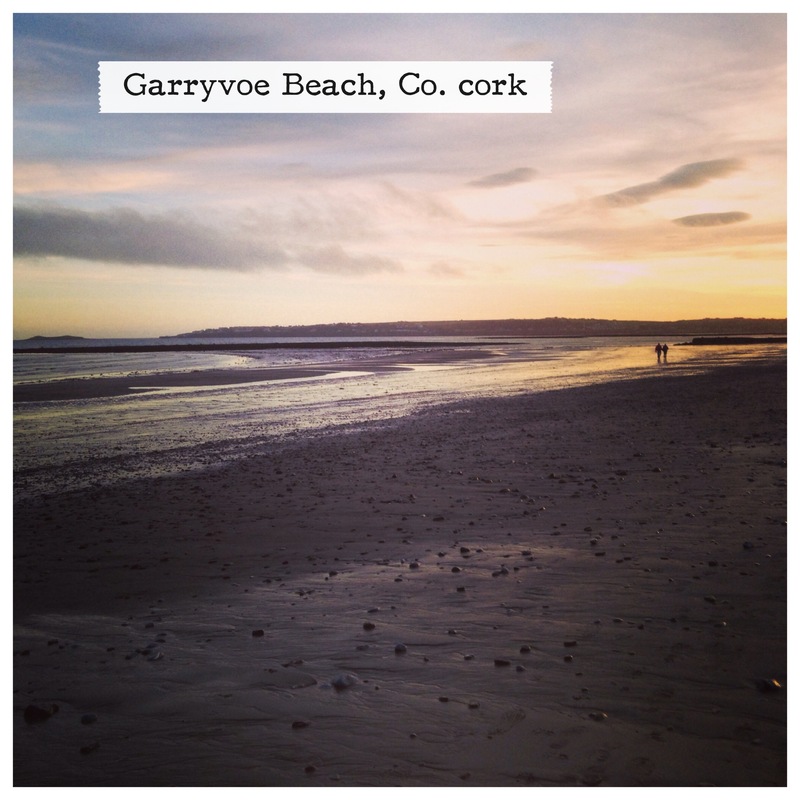 Shanagarry is located close to the lovely beach at Garryvoe and just a short drive to Ballycotton. There is a lovely Kilkenny Shop with a cafe in Shanagarry. Castlemartyr is also very close by (don’t forget to visit both Castlemartyr Resort and Pat Shortt’s Bar) and you can easily double up a Cork City/Shanagarry trip on a weekend.